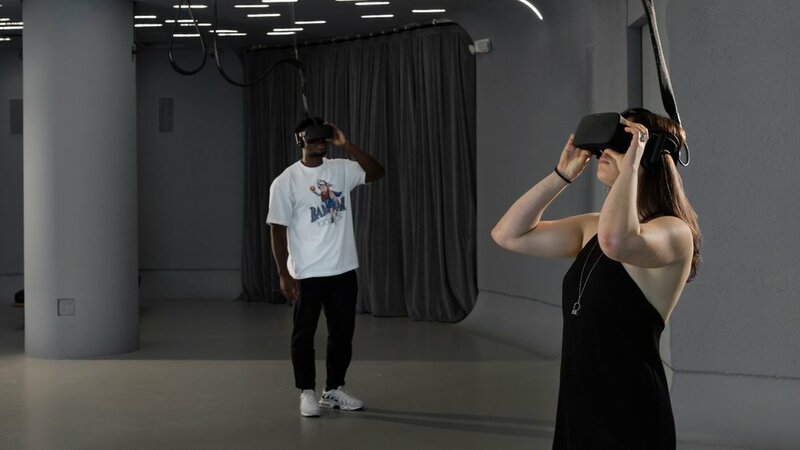 Cloud of Petals VR installation showcased on the basement level of Red Bull Arts New York features six hanging Oculus headsets, each with a separate virtual environment. Five scenes focus on interactive particle systems made of thousands of digitized petals, and a room-scale, virtual kaleidoscope controlled by user movement finishes out the experience. In August 2016, 10,000 roses were placed in the atrium of the former Bell Labs. Each petal was picked, placed under a camera lens, photographed, then uploaded to the cloud. The work of photographing the individual petals and turning them into a dataset was performed by sixteen men. The digital images of petals, all one hundred thousand, were used as inputs for an artificial neural network which learned to generate new, unique petals forever. From this performance results the short film Cloud of Petals, alongside the virtual reality installation. I approached sound design in an interesting way. First, Sarah and I worked with Drew Brown, a composer friend of Sarah's who had created all of the music for her short film. We sent him recordings of each scene, and sat down together to identify the mood and auditory goals of each one. He then composed a "palette" of sounds for each scene, based on sounds from the short film. I then sourced sound designer, Reese Donohue, to compose and spatialize the audio in Unity, based on the stems delivered by Drew. The result was incredible and efficient. I was able to complete sound design in five days, because Reese was not bogged down by creating sounds as well as composing them. Since the audio was derived from the short film, it really created a sense of unity between the two disparate elements. Sarah and I worked closely with developer, Nate Turley, and technology studio, Superbright, to create a six headset experience. Original plans had us building a more complex, and networked piece that would directly map the Red Bull Arts New York space, however we realized the project would have more longevity if it were space agnostic. We decided upon six looping scenes in each headset that would allow users to explore at their own pace. Interactivity remained gaze-based to retain an intuitive user experience. Creative development, and a prototype of each scene was built in a month, and final development and post processing was completed over the following month. The installation was incredibly smooth. Nate and I set up six computers and one backup with each Unity build and remote management software. 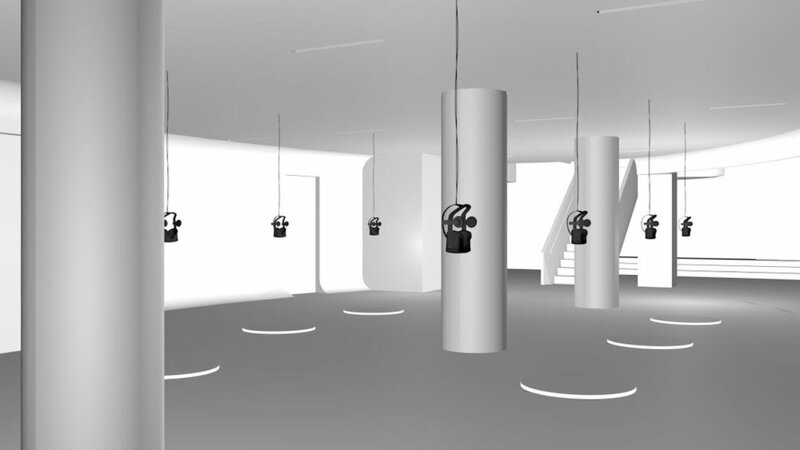 I worked with Patrick Cleary, who had been in charge of installation at VR World, to mount the computers to the ceiling and set up the Oculus and Steam guardian systems. We then worked with Red Bull for wiring, focusing on crisp, clean lines that complimented the pre-existing lighting fixtures in the space. The result allows visitors to really see the setup. We didn't want to hide the technology too much.